Singapore Art Book Fair (SGABF) is an independent multi-day festival specialising in contemporary art books & zines. 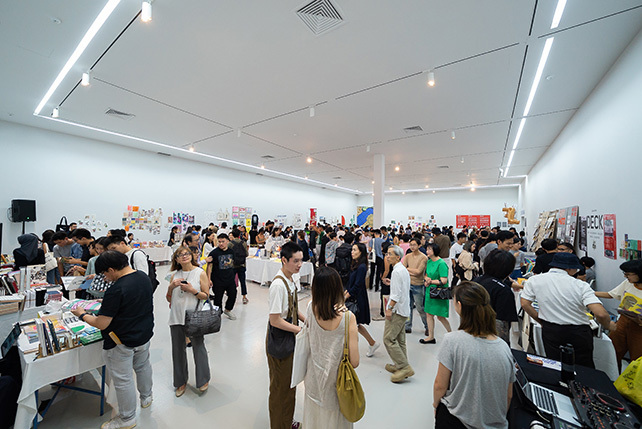 Held annually, this event is free and open to the public and will host exhibitors from around the world including artists, distributors, small presses, institutions, galleries, zines, and printmakers. SGABF serves as a platform that celebrates and represents artists’ books, zines, monographs, contemporary art editions, and other printed ephemera. Over the course of the weekend, the fair will be complemented by a range of programmes such as talks and performances. programmes aim to provide resources that will deepen the appreciation and increase the awareness of the printed matter.